Reducing our environmental footprint is a fundamental priority held by Corinth Pipeworks and its employees. 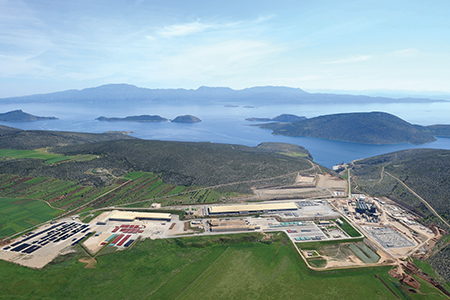 Corinth Pipeworks target is to operate in a responsible manner and effectively implement its environmental goals. The Company recognizes the precautionary principle as a factor of utmost importance to Sustainable Development and performs actions, which facilitate the management of its waste, implements measures in order to address the issues relating to climate change and ensure protection of the natural environment. Our overall performance is subject to ongoing and detailed scrutiny by the Corinth Pipeworks board of directors, and Company’s leadership in environmental issues is provided by its senior management.